The latest legislative election shed light on the rising influence of the Hezbollah in Lebanon. However, security perspectives in the country will depend less on this election’s outcome than on the Iran-backed Shia group’s actions in the region. On 6 May 2018, Lebanon held its first legislative election since 2009. The electoral reform (the merge from a majoritarian system to proportional representation), the low turnout (49%) and the decreasing popularity of incumbent Prime Minister Saad Hariri, has reshuffled the cards in the Lebanese Parliament. Hezbollah, an Iran-backed Shia political force with a military wing, and its allies (the Amal Movement in particular) have been widely pictured as the biggest winners of the election, clenching at least 70 of the parliament’s 128 seats. 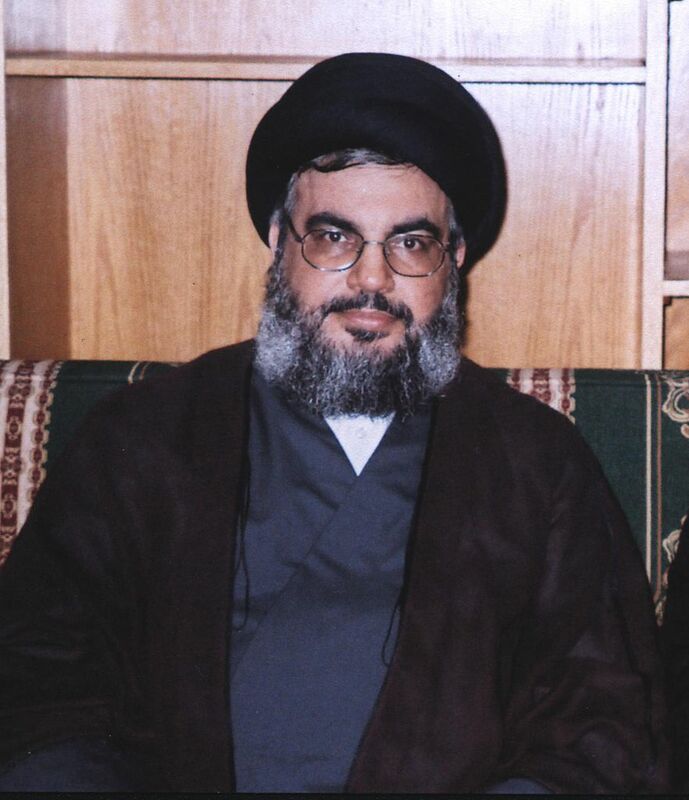 Hezbollah – considered a terrorist organization by the US, the European Union (EU) and the Gulf Cooperation Council (GCC) – has reinforced its domestic legitimacy, acquired the possibility to block any of its political opponents’ initiatives in the parliament, and gained the right to assert its political claims in the political arena. The election’s outcome has repercussions not only domestically in Lebanon, but also on the regional and international scenes. Indeed, the Shia group has been over the past few years, one of the focal points of the opposition between its Iranian ally on one side, and a group of countries constituted of Saudi Arabia, Israel, the US and, to a lesser extent, the EU and the Gulf countries. In this context, and with an unending Syrian Civil War at Lebanon’s border, the “rise” of Hezbollah might revive tensions in the region. Nothing new under the sun in Lebanon? Lebanon has always been a country torn by religious sectarianism. The country institutionalized this sectarianism into a political system to preserve “social stability.” Since the 1943 National Pact, Lebanon’s president must be a Christian, while the positions of prime minister and speaker of the National Assembly must be held by a Sunni and a Shia Muslim respectively. 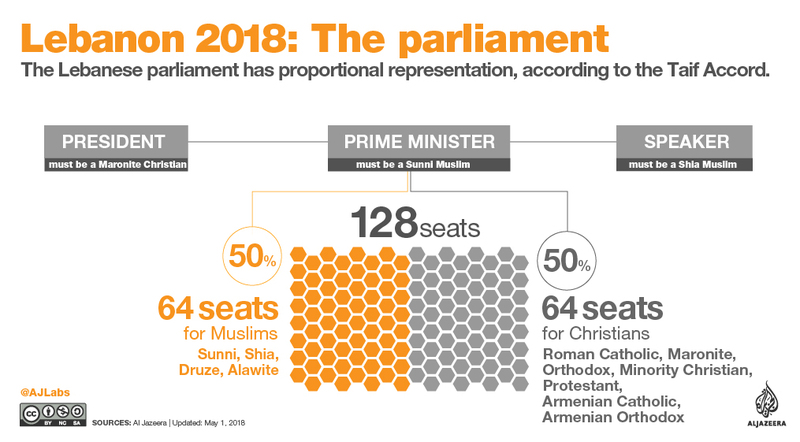 As of today, the Lebanese parliament is constituted of 128 seats evenly divided between Christians and Muslims. Following decades of Syrian interference in Lebanon’s domestic affairs since the mid-1970s, the Lebanese society progressively split up into two groups: the pro- and anti-Syria. In 2005, former prime minister Rafik Hariri (Saad’s father), a friend of Saudi Arabia who had opposed Syrian interference, was assassinated in Beirut, allegedly by Syrian operatives. This event led to the “Cedar Revolution” (itself leading to the withdrawal of Syrian troops from Lebanon) and to the creation of two coalitions: the March 8 (pro-Syrian and including Hezbollah) and the March 14 (anti-Syrian) Alliances. 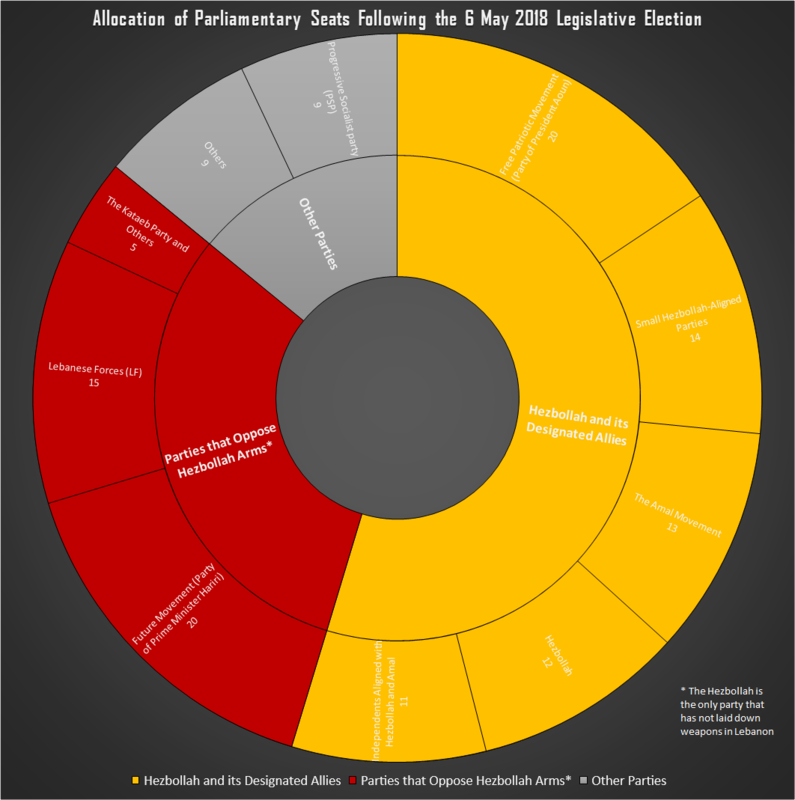 This was the political situation during the 2009 legislative election. The latest election was held in a very different context. Although communitarianism remains a reality in Lebanon, political alliances have often overstepped religious cleavages over the past decade. The prime example is the agreement that led to the nomination of Michel Aoun (a Christian Maronite close to Hezbollah) for the presidency in 2016, after a 29-month vacuum at the head of the Lebanese state, in exchange for the induction of Saad Hariri (a Sunni Muslim close to Saudi Arabia) as the country’s prime minister. 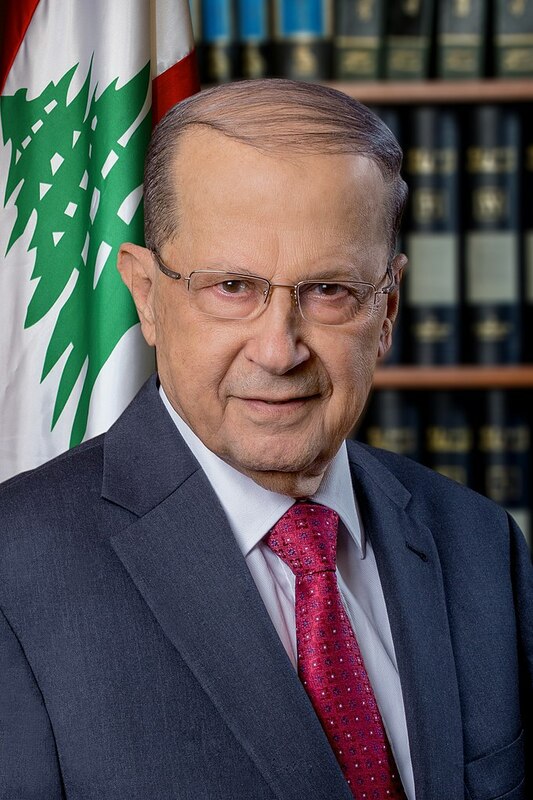 Aoun, the leader of the Free Patriotic Movement (FPM) signed a Memorandum of understanding with Hassan Nasrallah (the secretary general of Hezbollah) in 2006, driving the FPM into the March 8 Alliance. However, the negotiations that led to Aoun’s induction in 2016 along with the Syrian Crisis, broke the old political cleavage between the March 8 and March 14 Alliances. This former division established around Syria’s policies in Lebanon has been replaced by a wide array of domestic issues (Hezbollah’s attitude being only one of them), which differ across the country. The 2018 Lebanese Parliament does not seem to be articulated around the same bipolar logic and many political alliances remain unclear (starting with the one between Hezbollah and the FPM). Western media and those associated with Saudi Arabia and Israel have largely depicted the outcome of the latest election as a major win for Hezbollah and a game-changer. However, according to Tamara Cofman Wittes, from the Center for Middle East Policy at the Brookings Institute, Hezbollah “won the game of Lebanese politics” during the 2016 negotiations when it worked with Saudi-backed Hariri to select Michel Aoun as president. She argues that “the post-election configuration of Lebanese politics, at least with respect to Hezbollah/Iran vs Hariri/Saudi, is not really meaningfully different from the pre-election configuration.” The rise of Hezbollah in Lebanon is not a new phenomenon and its electoral success is only a “surprise” because of the absence of legislative elections in the past nine years. In other words, the May 2018 election did not necessarily significantly reinforce the influence of Hezbollah in Lebanon, it simply made it more visible, especially to the international community. Over the past few years, the Middle East has turned into the playing field of Iran and Saudi Arabia, who have been settling their disputes and Cold War-like struggle for regional influence through proxy wars (Yemen, Syria, Iraq). Despite the absence of military conflict in nearly 12 years, Lebanon has not exactly been spared by the renewed tensions between Riyadh and Tehran. For years, Saudi Arabia has been the main funder of Lebanon’s national security. Billions of dollars were invested to reinforce Lebanese domestic security forces, to preserve the stability of the country (especially with the threat posed by the Islamic State and the Al-Nusra Front at Lebanon’s borders) and counter the influence of Hezbollah’s military wing. This financial aid, however, has always been implicitly conditional to Beirut’s containment of Hezbollah and Iranian influence more broadly. Prime Minister Saad Hariri was to be the guardian of Saudi interests. 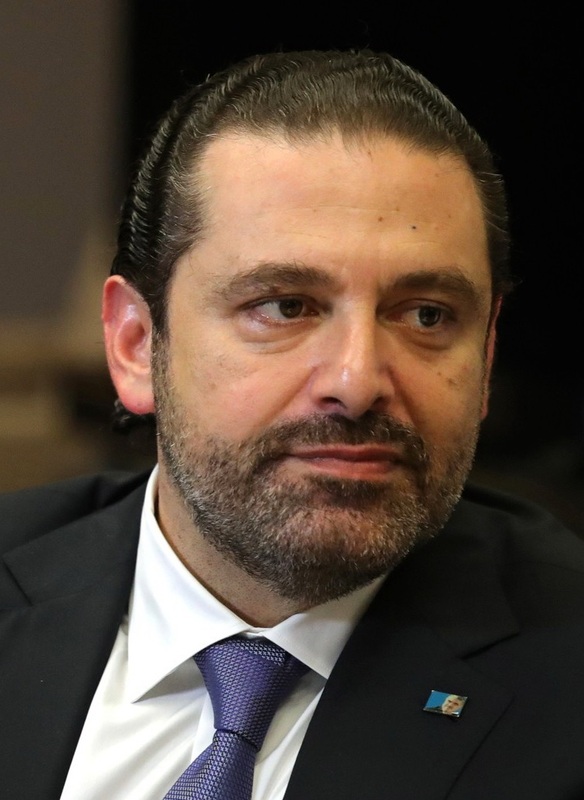 In light of Hezbollah’s rising interventionism (through its military wing) in the region (Syria, Iraq and Yemen) and with Hariri’s difficulties to contain the Shia group, Riyadh cancelled, in 2016, $3 billion in military aid along with another $1 billion grant that was to be allocated directly to Hariri to strengthen the security services. In addition, the Lebanese prime minister was forced to resign while in Riyadh in November 2017. He eventually withdrew his resignation a month later and retook his function as prime minister, but the pressure from Saudi Arabia on Hariri remains as real as ever. Following the May election Saad Hariri declared that the latest sanctions targeting Hezbollah, imposed by the United States and Gulf countries on 16 May, “could have a positive impact and speed up the birth of the new government.” Hariri’s bellicose rhetoric highlights his willingness to articulate the political cleavage in Lebanon around a pro- and anti- Hezbollah logic, a strategy that Riyad might be no stranger to. Similarly, Israel sent warnings to Lebanon about how serious it considers Hezbollah threat. Naftali Bennett, Israel’s education minister, tweeted “Lebanon = Hezbollah” following the election and emphasized on Beirut’s liability in light of the rising influence of the Shia group. In short, the latest electoral success of Hezbollah does not constitute a game-changer in the Lebanese political landscape. The Shia group has been effectively controlling large areas of the countryside (the Beqaa Valley in particular) for years and has established strongholds in Beirut as well. Furthermore, its armed wing did not wait until the election or even for the approval of the Lebanese legislature to carry out military operations abroad (Syria, Iraq and allegedly Yemen), in cooperation with Iranian forces. This led to Saudi Arabia’s (and to some extent, Israel’s) uncompromising stance towards the Iran-backed force, which is contributing to the polarization of the political debate around a pro- and anti-Hezbollah narrative in Lebanon, with the hope to push Lebanese people (and Sunni Muslims in particular) to form a united front against the Shia group. The security perspectives for Lebanon will be less dependent on this legislative election’s outcome (and the subsequent formation of a new parliament) than on the future military actions undertaken by the Shia group’s military wing, especially abroad and where Saudi interests are at stake (in Yemen in particular). A more aggressive and interventionist Hezbollah could trigger harsh security responses from Saudi Arabia or Israel in the land of cedars. Unfortunately, Lebanon’s legislative bodies have long lost control and influence over Hassan Nasrallah and his party.